Some more invites are available for the invite-only Merit project that we have introduced a while ago, so if you are interested in it and want to give it a try mining or using, then feel free to apply using the link below. 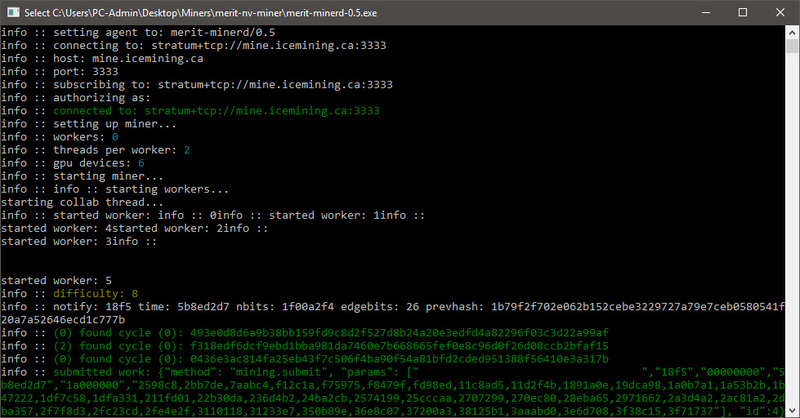 Merit (MRT) coins can still only be mined with Nvidia GPUs, though AMD miner is in the works for a while now, there is already a third-parity Merit CUDA miner available with more options that you can try as well. Merit has its own trading market (MRT-BTC) with escrow that works fast and is really reliable, so you can buy and sell coins on the market. Since it is invite only and invites need to be mined and it is not yet listed on any major exchange, Merit is still kind of under the radar, but the last few weeks there has been a significant growth with increased interest and more people joining the project. We have a limited number of invites available to give away, so please do not waste them, we are going to send invites as soon as possible on a first-come, first-served basis. Sending multiple invite requests will not get you accepted faster, in fact will have the opposite effect of not getting you invited at all! The first two are the official mining pools, the third one (IceMining) is currently the largest MRT mining pool in terms of hashrate and is the only one not based on the official code, the rest are new pools based on the official source and they are still pretty small in terms of hashrate and number of miners and could use some hashrate. 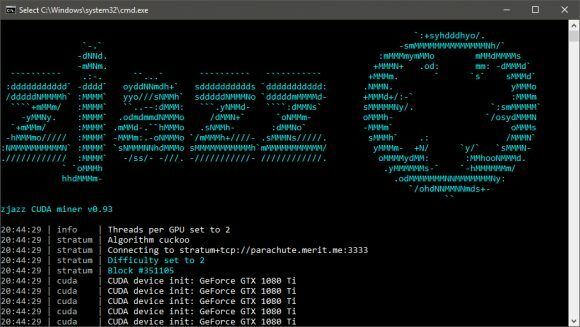 The unofficial zjazz CUDA miner for Merit is now available with a special release for 3GB VRAM GPUs (the minimum required in order to be able to mine MRT with your Nvidia GPU. 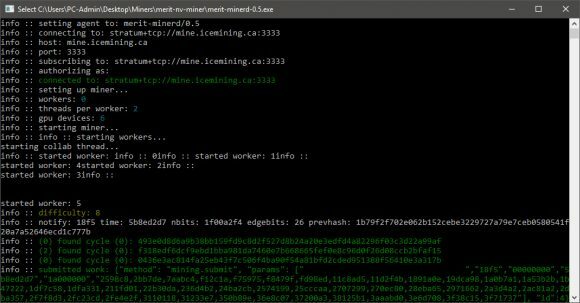 There is also an experimental Linux build of the miner available for people that want to give it a try. You can of course also use the latest official Merit miner for both Windows and Linux mining rigs (also only for Nvidia GPUs). 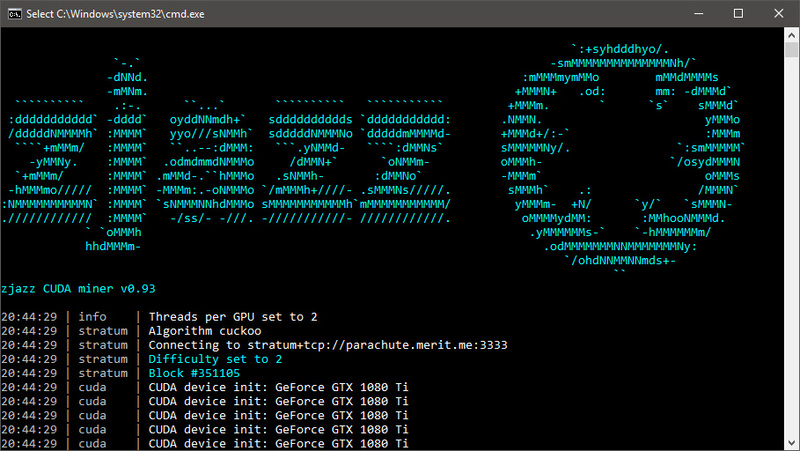 AMD GPU miner for Merit is still in development, though it seems that performance wise it is doing much worse than what Nvidia GPUs deliver in terms of hashrate, so you may have to wait some more before it is made available in a usable optimized form. We remind you that Merit (MRT) is an invite only network and you need to get one in order to unlock your wallet and start mining the MRT crypto currency, we have some invites available, so feel free to request one uing the link below. We have introduced the Merit (MRT) project a couple of days ago as a still under the radar interesting crypto currency that you can mine, but it seems now that the cat is finally out of the bag with an official announcement thread getting posted today on Bitcointalk. There is still time before a large number of users get in as the project is still invite only, so you need to get an invite in order to register and have your wallet unlocked and the good news is that we still have a few invites left to share. We have a limited number of invites available to give away, so please do not waste them, we are going to send invites as soon as possible on a first-come, first-served basis. Sending multiple invite requests will not get you accepted faster, in fact will have the opposite effect!